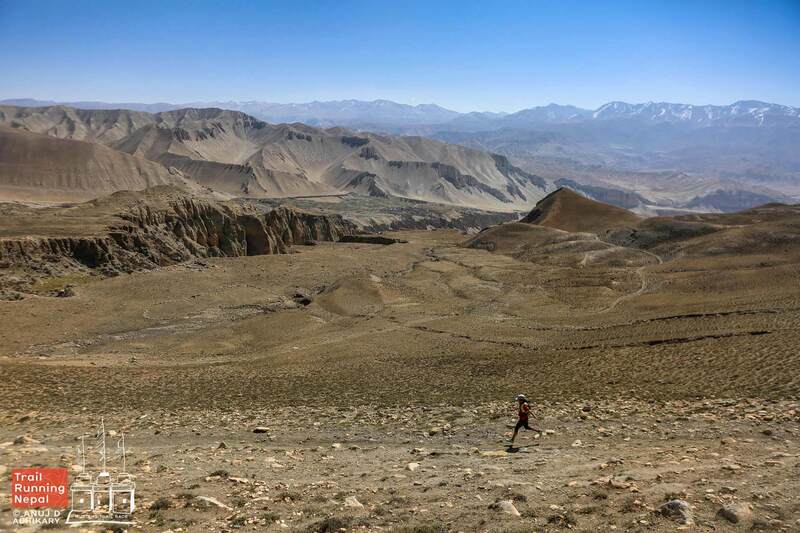 Stage 3: Ghemi (3500m) → Drakmar (3700m) → Mui La (4000m) → Ghar Gompa (3950m) → Lo Manthang (3800m). 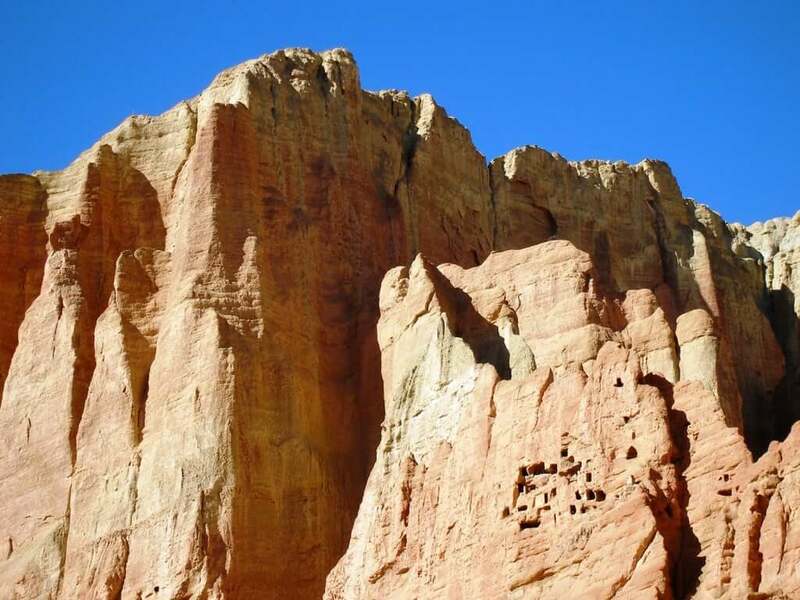 From Ghemi we head to the longest prayer wall in Nepal whence the red cliffs of Drakmar will be beckoning us. 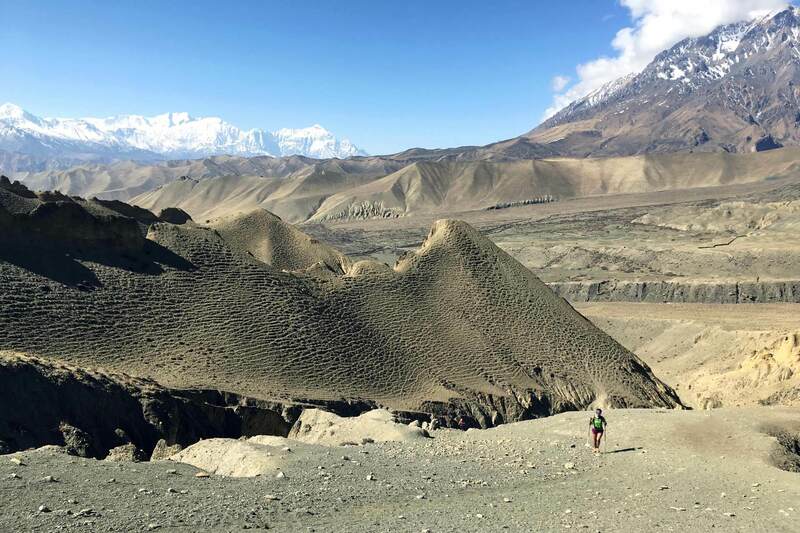 From Drakmar, a gradual climb amidst a labyrinth of bizarrely contorted crags lead us to Mui La, from where the Annapurna range can be admired. From Mui La a short descent brings us to the oldest monastery in the region, Ghar Gompa, reputed to have been founded in the eighth century. After quite a run from the monastery, passing yak grazing areas with nomad’s tents, we will be rewarded with the first glimpse of the remote walled city of Lo Manthang. We finish at the gates to the city. 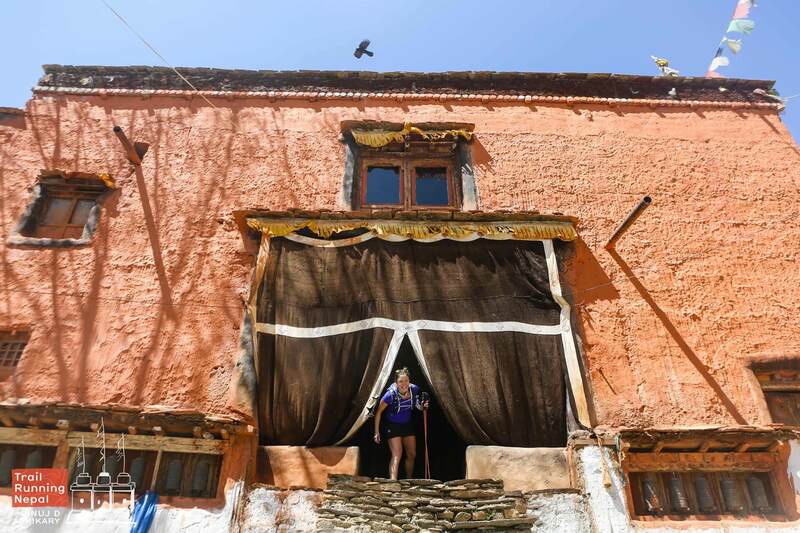 Overnight in tea-houses in Lo Manthang. Stage Profile! Three passes. The first & second obvious, but don't forget the third, before the long descent to Lo Manthang. Checkpoint is at the monastery. 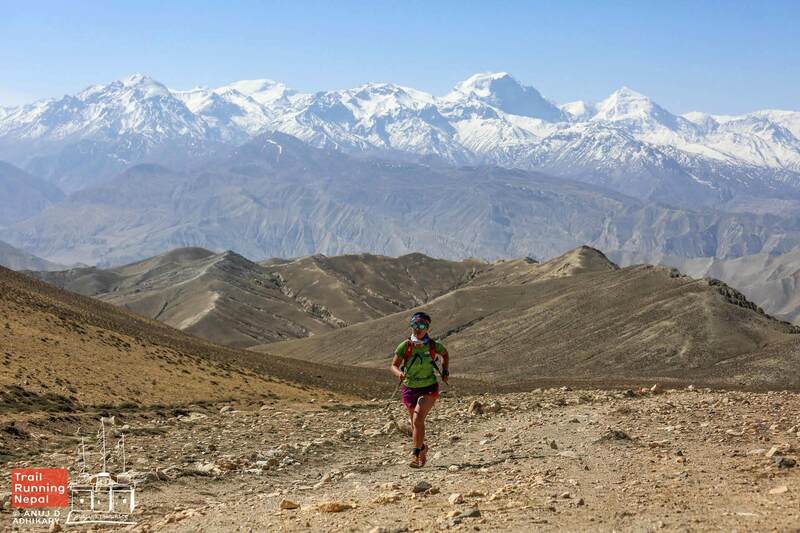 Lots of running today, when not climbing.